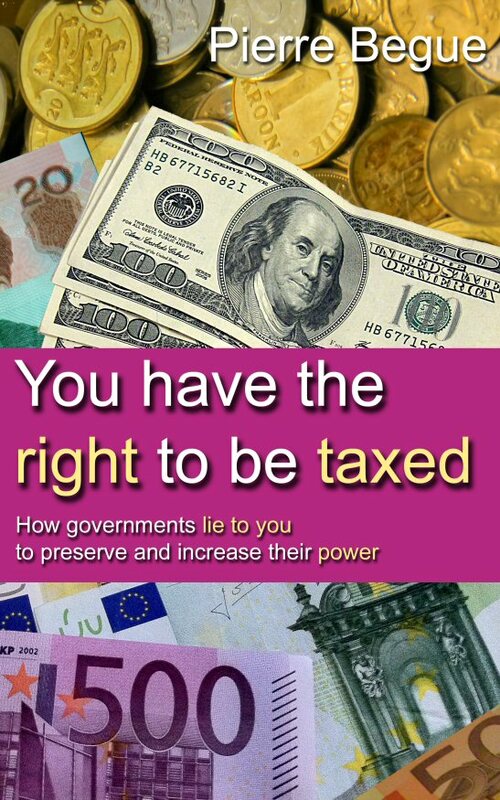 You have the right to be taxed is a libertarian or classical-liberal outlook on Europe and the West, written by a European. It is partially about basic economics and partially about basic philosophy. It examines the modus operandi of European welfare states and spends some time unwinding the myths that are propagated to ensure the persistence of the state as a virtually all-powerful provider. The book also examines the flaws of democracy and some possible remedies. For the record, a libertarian is not an anarchist because he agrees with a limited role for the government. For the libertarian, the government must focus on maintaining at a low cost a small army, a small police force, and a cheap and effective justice system. Any other function should be carefully examined to determine if it really should be the state’s responsibility. In nearly all cases, it should not. Pierre has a master’s degree in international economics and finance. He has studied at the universities of Bordeaux in France and Bradford in the UK. He has lived and worked in France, India and the UK. He works as an analyst in the UK and is also an independent video-game developer. For more information about the book, please use the menu on the left or select one of the following options. Click Contents to display the table of contents. Click Chart to display a chart of international performance that is used throughout the book. Click Samples to display several articles from the book. Click F.A.Q. to display Frequently Asked Questions. Click Amazon US, Amazon UK, or Amazon France, to display the book's page on the Amazon website. Note that everything in the book should be taken as 'just my honest opinion' - I don't claim to be holding all the universal truths. 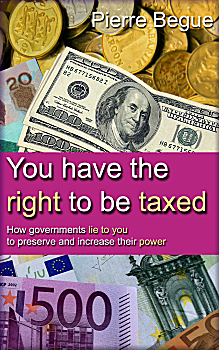 The electronic book You have the right to be taxed is currently available for free. Please click one of the links below to download. Alternatively, you can buy on Amazon by clicking here: Amazon link. If you live outside the US, you will then have to click the green button 'Continue shopping on the Kindle Store of your own country' on the right side of the Amazon web page. - Added on 13 July 2014: a new section on the efficiency and quality of service of public-sector organisations. - Please email enquiries@heroicfantasygames.com if you are having any problems buying or downloading.